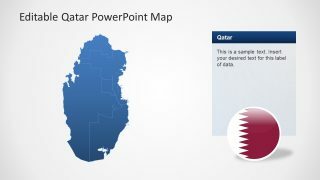 The Editable Qatar PowerPoint Map is a country demographic presentation of a sovereign country. 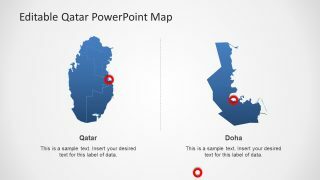 It displays the middle eastern county geographical PowerPoint map templates. 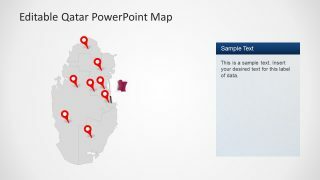 Here, the PowerPoint Qatar presentation contains 8 slides showing various layout designs. Although, the country itself borders with Saudi Arabia in the south and the rest is surrounded by the Persian Gulf and Bahrain. It is one of those countries which were under the British rule tile late 19th century. 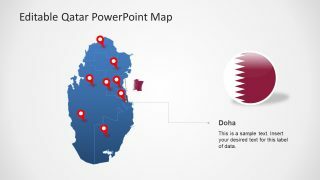 The editable presentation slides of Qatar map can help feature advancement, culture, ethnicity etc. Because it is the most progressive Arab county with the highest human development, also knows as a high-income economy. 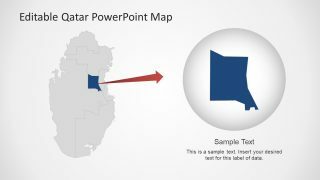 Therefore, it can be an interesting PowerPoint to discover the outstanding landscapes, advancements and political structure of Qatar. 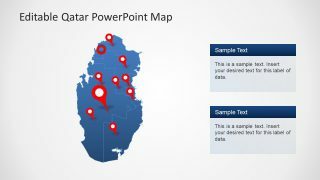 The Editable Qatar PowerPoint Map has a blue-gray and white theme. 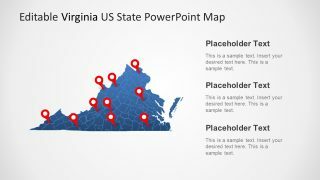 The geographical PowerPoint map template contains GPS location marker icons to highlight a specific area on the slides. 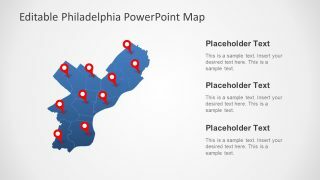 It shows 8 municipalities as individual PowerPoint shapes. And, each of these municipalities has a clear borderline to separate them. The users can make the color and size adjustments in these shapes. For example, modify the outline or shape fill colors or copy a municipality unit to use in another slide. All the customizations can be done in minutes, assisting users to complete their presentation in a fraction of time. 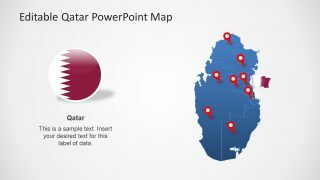 The Qatar map template of PowerPoint includes the clipart icons of the country flag. These clipart icons highlight the political outline map of Qatar with a set of editable elements. 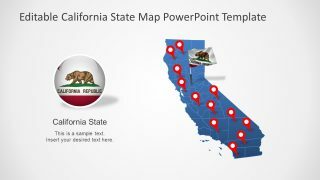 For instance, the slides include editable PowerPoint map designs with the flag as a location marker. Or, zoomed-in segment to focus specific geographical location. These are all the design layout suggestions for the presenter. 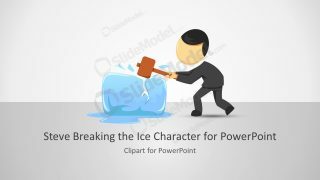 Therefore, the users can select the desired template to use in the main presentation with some adjustments. The presentation also provides the six amazing text placeholder options. 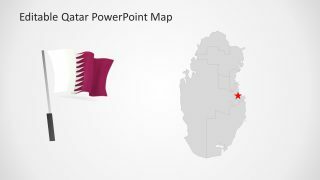 It is a suitable PowerPoint for professionals to discuss the economic growth and human development of Qatar.